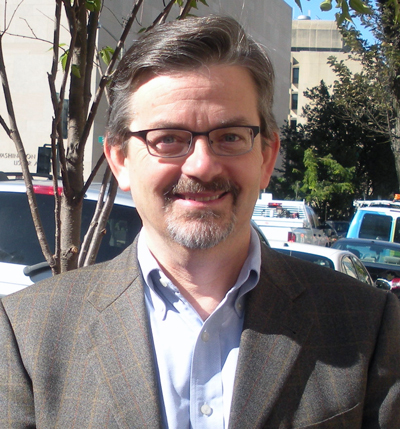 Dr. Peter Linquiti teaches environmental policy courses for both graduate and undergraduate students, a policy analysis methods course for MPA students and the capstone course for GW’s MA program in environmental resource policy (ENRP). He directs the ENRP MA program, as well as a donor-funded certificate program for National Park Service employees. Dr. Linquiti's current research activities include developing and validating an interdisciplinary framework for environmental policy analysis, assessing alternative methods for valuing government investments in research and development of new energy technologies and measuring the value of flexibility in investments to adapt to climate change. Prior to joining the GW faculty, Dr. Linquiti served as Executive Vice President at ICF International, a global consulting firm focused on energy and environmental policy. At ICF, he supported public sector clients in all phases of the policy design, implementation and evaluation process. His substantive work addressed both regulatory and non-regulatory policies related to air quality, climate change, hazardous and solid waste, drinking water, risk assessment and energy efficiency. Dr. Linquiti has also led several international environmental projects for clients including the World Bank, the United Nations Environment Program and the governments of Thailand and the Philippines. “Consumer’s Guide to Regulatory Impact Analysis: Ten Tips for Being an Informed Policymaker,” with S. Dudley et al., Journal of Benefit-Cost Analysis, Summer 2017, 8(2), 187-204. “The Carbon Ask: Effects of Climate Policy on the Value of Fossil Fuel Resources and the Implications for Technological Innovation,” with N. Cogswell, Journal of Environmental Studies & Sciences, 2016, 6(6), 662-676, first published online 12 May 2016. The Public Sector R&D Enterprise: New Approaches to Portfolio Valuation, New York, NY: Palgrave (2015). “The Value of Flexibility in Adapting to Climate Change: A Real Option Analysis of Investments in Coastal Defense,” with Nicholas Vonortas, Climate Change Economics, Vol. 3, No. 2, 2012 (cited in Fifth Assessment Report of the Intergovernmental Panel on Climate Change). “The Importance of Integrating Risk in Retrospective Evaluations of Research and Development,” Research Evaluation, Vol. 21, p.152–165, 2012 (also presented at Annual Research Conference of the Association for Public Policy Analysis and Management, Baltimore, MD, November 2012). Congressional Policy Briefs on Climate Change Issues, with V. Arroyo and others at Pew Center on Global Climate Change, supported by Doris Duke Charitable Foundation, 2008. Poster - Factors Affecting Phaseout of Ozone Depleting Substances by Developing Countries, George Washington University Research Showcase, 1st Place Award, 2008. Current Directions in the Climate Change Debate in the U.S., for the United Nations Development Program, with V. Arroyo, Pew Center on Global Climate Change, 2007. Characterizing the EHS Implications of Nanotechnology: Where Should the Federal Government go from Here?, with A. Teepe, published by ICF International, 2006. The Phaseout of Ozone Depleting Substances in the Russian Federation, presentation to the Center for Technical Aid Project Preparation and Implementation, Moscow, 1998. The Gift of Creation and the Values which Sustain It: A Discussion Tool for Groups and Families, with the Harwood Group, for the National Religious Partnership for the Environment, 1996. Environmental Technology Transfer to Developing Countries: Practical Lessons Learned During Implementation of the Montreal Protocol, with D. Strelneck, paper presented at the Annual Research Conference of the Association for Public Policy Analysis and Management, Washington, DC, November 1995. Feasibility of Alternative Phaseout Schedules for Ozone Depleting Substances in Developing Countries, with A. Karmali, et al, published by Executive Committee of the Multilateral Fund of the Montreal Protocol, 1994. Cost-Effectiveness of Options to Reduce Ozone Depleting Substances: Chillers and Motor Vehicle Air Conditioners, with B. Eydt, published by the World Bank, 1994. Feasibility Study for Use of Non-ODS Technologies in Philippines: 14 Project Proposals, for the Department of Environment and Natural Resources, Government of Philippines, 1992. Service and Repair of Motor Vehicle Air Conditioners under Section 609 of the Clean Air Act Amendments: Issues and Options, for the U.S. Environmental Protection Agency, 1990. Guide to Ground-Water Supply Contingency Planning for Local and State Governments, published by the U.S. Environmental Protection Agency, 1990. Wellhead Protection Programs: Tools for Local Governments, with R. Harvey, published by the U.S. Environmental Protection Agency, 1989. Options for Imposing a Tax on the Import of Selected Chemical Derivatives, for the U.S. Environmental Protection Agency, 1986. Indonesia and OPEC: The Economic Costs of Cartel Membership, published by The Woodrow Wilson Center for International Scholars, 1982. "I have learned over my 25+ year career in environmental policy that few, if any, important environmental challenges can be met if we look only through the lens afforded by a single discipline. In an increasingly complex world, with deep and subtle connections between human activity and environmental conditions, our graduates can draw on their cross-cutting training to analyze and understand issues like climate change, fracking, urban sustainability and the environmental impacts of industries like transportation, agriculture and energy."